We hope the following plumbing tips will help you avoid unnecessary plumbing repairs to your home. If you have any question please contact us. Now You Can Save Water & Enjoy Instant Hot Water!! It seems a common reaction for homeowners to assume their water heater is bad and needs to be replaced when they see water leaking or spraying around the water heater unit. Ted's Plumbers often receives calls from homeowners stating they need a new water heater but sometimes after our plumber checks out the situation, the problem turns out not to be the water heater unit but rather a related issue that can be fixed for much less than replacing the entire water heater unit. This article has been written for homeowners who would like to better understand the causes of water heater leaks so that they can perform some self diagnosis or DYI repair before calling out a plumbing company or purchasing a new water heater unit. Overtime, water heaters corrode producing weak spots and small holes in the tank’s metal. These holes may be extremely small at first but will surely manifest into a problem that eventually will have to be resolved. To determine if your water heater tank has a leak, visually inspect the top, bottom and entire outer surface of the water heater tank for any signs of water. If a leak is discovered then the water heater unit will need to be replaced since there currently is no solution to repair water heater tanks. Water heater tank leaks are a covered item under most manufacturer warranties as long as warranty terms and conditions have been met. Most manufacturers provide an option on their website to lookup warranty status information. Just write down the serial number and model number from the manufacturer’s sticker located on the water heater and then enter it into the online lookup screen. Please be aware that over the last few years Florida established new water heater emission laws requiring water heater manufacturers to upgrade their product lines. If you have an older water heater model, you may be responsible for the cost to upgrade to a new compliant model. The cost difference to homeowners is approximately $100-$175; depending on water heater size and manufacturer.  While Ted's Plumbers doesn’t charge customers a mark-up price on warranty upgrade orders, some plumbing companies may, so it is advisable to ask. If the tank shows no signs of a water leak, then continue troubleshooting the source of water by next checking the water heater’s supply lines. Water heater supply lines are typically located on top of the water heater unit and connect the water heater to the home’s water supply. The entire supply line may be faulty or if water is leaking at the fitting connection, there is a good chance that the fitting may simply need to be tightened. Most supply lines these days are stainless steel with threaded fittings. This makes it easy for homeowners to tighten with a wrench. Supply lines that are copper tubing with sweat connections however will require soldering. A faulty supply line will need to be replaced in its entirety. While this may require a plumber, it is less expensive than replacing the water heater unit. **Word of Caution: Before adjusting a supply line or any other water heater connection, it is advisable to shut-off water supply to the unit. Another place you may notice a leak if you have a storage water heater, is from the external device that is designed to safely release pressure from the tank. This device is called the temperature and pressure relief valve (aka T&P valve). T&P valves are usually connected to the side of the water tank. A functioning T&P valve that is leaking or releasing water is a sign that the water heater’s temperature or pressure is too high and needs to be reduced. You can turn down the temperature by adjusting the controller. Most toilet tank leaks can be easily fixed by replacing your tanks internal parts. Complete toilet tank part kits can be purchased at your local Home Depot, Lowes, or other home supply store. Not up to fixing your toilet leak yourself? No worries, just give Ted's Plumbers a call and we will be more than happy to take care of it for you.